Charlie was born in Newbury on 21 December 1876, the son of James Waldron and his wife Sarah Ann. James was born in 1821 in Plaistow Green, a hamlet of Kingsclere, Hampshire, and spent over 20 years serving with the 45th Regiment of Foot, including over 15 years in South Africa (Cape of Good Hope) and almost 2 years in Montevideo. He was discharged from the army in 1864 and, owing to his long service, qualified for a pension. He was, in fact, a Chelsea Pensioner – because all army pensions were administered from the Chelsea Hospital, not just those of the ‘in-pensioners’ who, in their traditional red coats form the familiar image of the Chelsea Pensioner. When he left the army he ‘retired’ to Newbury even declaring his occupation as ‘pensioner’ in the 1871 census. However, he was only in his 40s in 1864, still able to work and still single. By the next census in 1881 all has changed; he is listed as a labourer at the water works with a wife, Sarah Ann, and a child, 8-month-old Henry James, known as James. James is Charles’ only known sibling, but their mother’s 1911 census form tells an all too familiar tale. Seventy-five year-old Sarah Ann, widowed (James died in 1906), is living alone at 3 St John’s Cottages in Greenham and still working as a laundress. Her census return records that she had six children and that only one, Charles, is still living. Railway Road, No 1 on the right. Henry James had died in Pietersmaritzburg, South Africa on 25 April 1903 where he was serving as a Corporal in the Royal Army Medical Corps. He had served for a considerable period of the Boer War (including at the relief of Ladysmith and the battles of Laing’s Nek and Tugela Heights). The war was over some time before he died, probably through sickness; so he was not included among the names on the memorial to Newbury’s Boer War fallen. Charles went to school in Newbury, first to St John’s infants’ school in Newtown Road and then, aged 7, to St Nicolas School in Enborne Road. The family was living at the time in Goldings Yard off Cheap Street. He remained at school until he was twelve (at the time education was compulsory to the age of eleven). He earned his living, like his father, as a labourer. In late 1901 he married Sarah Ann Coles; in 1903 their first child, Gladys Ellen was born. She was followed by Charles Mansell (1905), Florence Evelyn (1907), James William (1910), Albert E (1912) and Doris M (1914). Florence, James and Albert were all born in Reading, where Charles worked for the Great Western Railway; for at least some of this period they lived at 562 Oxford Road. 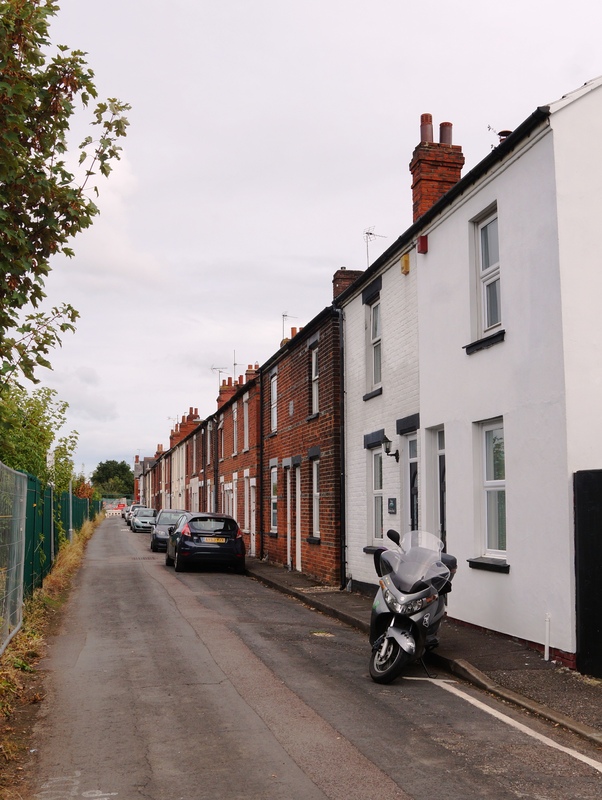 Doris’s birth in the Newbury district suggests that they moved back to Newbury, quite possibly to live with Charles’ mother at 7 Railway Road; certainly Sarah Ann and the children were living there by the time he died. Charles did not rush to volunteer to serve in the armed forces – aged 37 in 1914, with a wife, widowed mother and six young children to support no one could blame him for that! Nevertheless, when the Government introduced the Group Scheme in late 1915 he went along and signed up. The Group Scheme (better known as the Derby Scheme after Lord Derby, the minister responsible for its introduction) encouraged men to volunteer now for service later. Men would be allocated a group number according to age and marital status; the army would then call up groups as and when required. As a married man born in 1876 Charles would have been allocated to group 45 (of 46) may even have thought that his time might never come. But come it did, the call up of Group 45 began on 12 May 1916; the process was to send notices to men telling them to report for duty one month later. As can be seen the first Group 45 men would have been embodied on 13 June, but it seems that Charles’ regimental number (23394) was issued on 20 June, a week later – probably allowing the regimental depôt to cope with the influx. 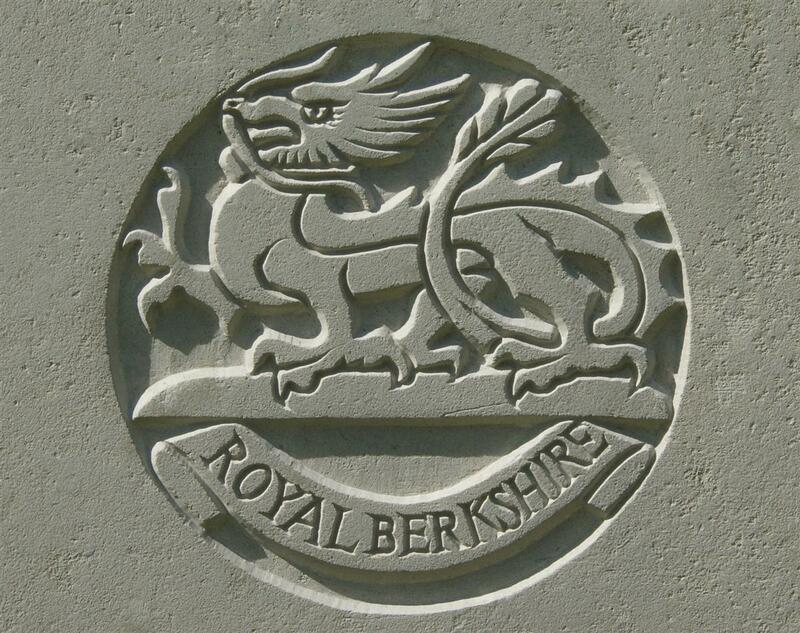 So, at the age of 39, Charles became a soldier in the Royal Berkshire Regiment. In November 1916, following several months of training Charles shipped out in a draft of men sent as replacements to the regiment’s 7th Battalion. The 7th Battalion was part of the 78th Brigade, 26th Division, XII Corps in the British Salonika Force. This was the British contribution to a multinational force fighting, predominantly against Bulgarian troops with Austro-Hungarian and German support. The original aim of the force was to assist Serbia in its fight against invasion, but help arrived too late and the front stabilised in northern Greece and Macedonia. Often referred to as the forgotten front the Salonika Campaign is generally seen as a wasted effort by the allies (it is said that the Germans referred to Salonika as Germany’s largest internment camp – delighted that the allies should send so many troops there). However, the campaign did end in October 1918 with the surrender of Bulgaria; the effort was not entirely wasted. It was a campaign fought in mountainous terrain with the troops suffering from a lot of sickness, notably malaria. Charles spent the winter at the front, receiving in February the news that he was a father again, Sarah Ann gave birth to their seventh child, Kathleen Rose, on 1 February 1917 – a permanent memory of their last days together. Our artillery bombardment continued throughout the day. Orders received that this Bn were to support the 7th OXFORD and BUCKS LI in an attack upon 04 in conjunction with an attack to be made upon 01, 2 and 3 by the 77th Bde. During the day preparations were made. About 1700 hrs orders were received the 2 Coys (B and C Coys) were to definitely take part in the attack with that object of attacking 05 after the 7 OBLI had taken their objective. MAJOR H.R.B. GILLESPIE to command the 2 Coys. The Bn to move up to TORTUE and to be there by 2300hrs. B and C Coys at TORQUAY CAMP. D Coy TORTOISE. A Coy formed the garrison of the trenches. The 77th Bde attacked their objective at 2150hrs. The 7th O.B.L.I. attacked 04 at 0020hrs. During the whole evening the enemy had been shelling fairly heavily, firing a number back into the VLADAJA RAVINE. Gas shells of the lachroymatory and asphyxiating were used in quantity by the enemy. All Coys and HQ were in their respective positions by scheduled time. Enemy confined most of his shelling to JUMEAUX RAVINE, also DORSET RAVINE. At 0020hrs MAJOR GILLESPIE reported that he was about to move off with B and C Coys. D Coy then moved up to TORQUAY CAMP in reserve. B and C Coys moved out down TOR RAVINE which was being shelled comparatively lightly, about 0730hrs information received that 7th O.B.L.I. had gained 04 but had been driven back from the trenches and our B and C Coys were to support them, this was sent on to MAJOR GILLESPIE. Beautiful countryside, but a devil to fight over. About 0340hrs LT COL DENE received orders to take forward D Coy to support our other 2 Coys. This Coy went out via TOR RAVINE also and never sustained a casualty the whole way out. D Coy was in position at 0500hrs. The 3 Coys were then formed up for the attack B and C Coys forming the first line (B the left, C the right) and D Coy plus a few of the 7th O.B.L.I. the second line. On the right little opposition was met with and they proceeded to bomb along 227 where Lewis Gun attachments were pushed forward the trenches occupied up to a point E of 0 in Z30. On the left the advance was made in a NW direction and rapidly proceeded along the top of PETIT COURONNE to the line Z33 and Y9.Her an attempt was made to link up shell holes, while parties of bombers pushed forward Z31-Y10. MAJOR GILLESPIE and a party then struck off towards Z34 where there were two dug outs with Bulgars emerging these were killed by bombing. A group plus a Lewis Gun was established in a shell hole WNW of Y in Y10, we then bombed forward to Y11 where a block was started, but almost at once the enemy prepared to counter attack (2 lines of about 40 each) our Lewis Gun quickly got on to these. The enemy's line ran roughly Z37, Z35 and thence N of Y11 and was not more than 80 yards distant from us, but showed no inclination to advance. At this time however the enemy got their heavy guns directly on to us. Hitherto we had escaped artillery fire and met with slight opposition only, but this sudden outburst was most accurate and deadly, one or two 8" shells burst between us and the enemy - killing and wounding them as well as ourselves. The smoke caused by this heavy fire was most intense and when it cleared away there was nobody near to support the advanced bombing parties who were met by advancing Bulgars and forced to withdraw. MAJOR GILLESPIE was killed whilst bombing a dug out with 1 Sgt, the Sgt returned and reported. After this a line was formed running from Z28 to just S of Z30. LT COL DENE was wounded but gave orders for the posting of groups and for the line to form up just below the crest of the hill. About this time 0800hrs, the bombardment slackened considerably only to recommence again at 0930hrs and it was only the steepness of the slope which prevented us suffering very heavy casualties. About 1030hrs LT COL DENE retired to have his wounds dressed and LT COL ROBINSON took charge shelling continued throughout the morning and at 1200hrs LT COL ROBINSON was wounded. At half past the hour later the order was received to evacuate and arrangements were made for NCO's to form parties of 12 and carry away as much as possible, evacuating by TOR RAVINE, by this means practically all the bombs were got away and much material. All the wounded were successfully evacuated owing to the energy and supervision of CAPT BRYCE R.A.M.C. The evacuation was conducted by CAPT S.A.PIKE and completed without a casualty. From information learned afterwards it was learned that only one Battn of the 77th Bde had been successful in reaching their objective. In co-operation with our operations, the 22nd Division carried out sundry raids from 06 up to P4. Our casualties during operations were Officers killed LT P.F. Budge, missing believed killed MAJOR W.R.B. GILLESPIE. Wounded LT COL A.P. 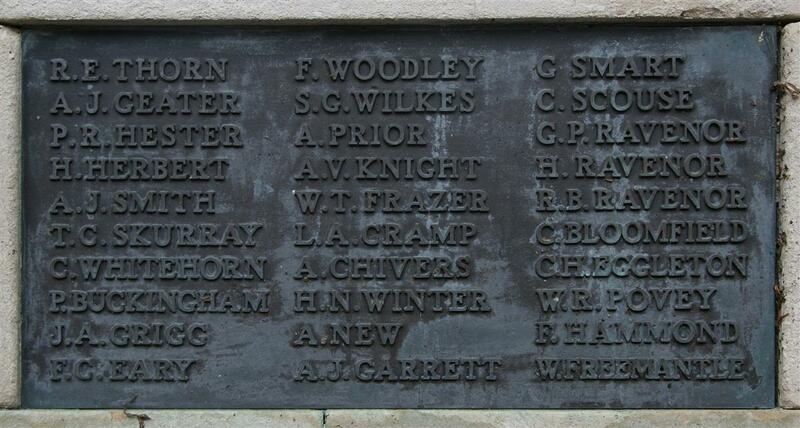 DENE, CAPT G.F.BATE, 2LTS F.S.EASTWOOD, L.L.TRIVETT, LAVENDER, HARRIS, 2LT BRIDGLAND wounded slightly to duty. OR killed 14 missing 9, wounded 131. The enemy shelled TORTUE intermittently during the rest of the day. Evacuation of wounded was carried on during the whole day by the 80th Fld Ambulance. Our "A" Coy held the line for the rest of the day, the remainder of the Bn returning to camp just S of VLADAJA VILLAGE. 2 Coys of 11th WORCESTER REGT relieved "A" Coy relief complete at 2345hrs. What the diary does not convey is the terrain. To attack the enemy the British had to cross a defile called Jumeaux Ravine and attack well established, well wired, enemy positions uphill. 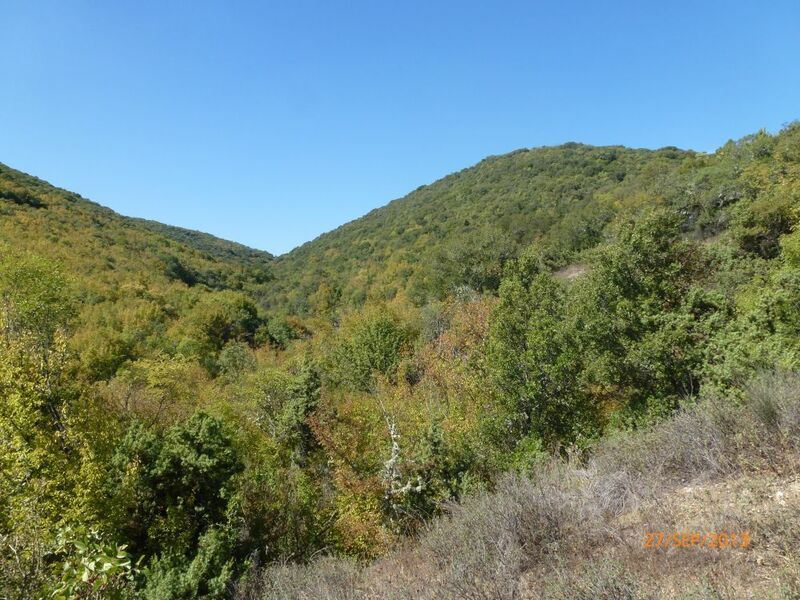 Tor Ravine was used by the 7th Royal Berks to move men forward, this led down from the British line and into Jumeaux Ravine saving the men from exposure to enemy fire for at least part of their move forward. There is a report that Charles was killed by friendly artillery fire, but there is no obvious suggestion of such problems in the battalion diary; nevertheless, this was a common problem and cannot be totally discounted. No matter how he came to be killed it is clear that he died in this action or of wounds later in the day. His body was recovered and is buried in the Doiran Military Cemetery (grave I.B.4). WALDRON. – Killed in action on May 9th, Pte C J Waldron, of the Royal Berks, at Salonica, dearly beloved husband of Sarah Ann Waldron, of 7, Railway-road, Newbury, in his 42nd year. Mrs Waldron, of 7 Railway-road, has received official notice that her husband, Charles James (Charlie), was killed in action in the Salonika campaign on May 9th. Although within a few months of 41 years he was called to the colours, June 1916, and attached to the Royal Berks. He reached Salonika November 1916. A sad feature about this soldier’s death is that he leaves his wife with seven children, the eldest 14 years, the youngest 4 months. An aged mother in her 83rd year also mourns the loss of her last boy, his brother James having been killed in the South African war. The family now extinct had a military record, the father who died a few years ago, being a Crimean veteran. The deceased makes the twelfth to pay the price of a remarkable successful Bible class which met for many years at Stroud Green, and of which Mr S Attewell was the teacher.